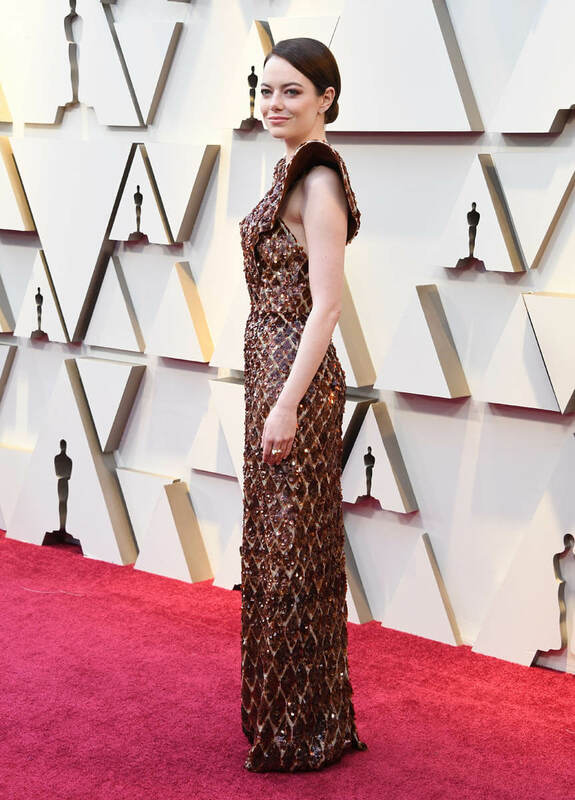 They did not, however, go to the Vanity Fair Oscar party. 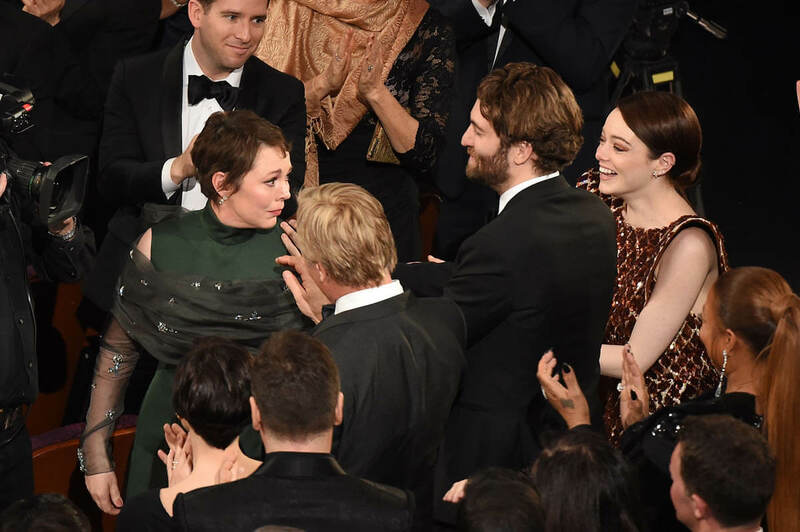 Emma usually makes a stop at VF when she’s on the Oscar circuit; this time she skipped it. So she and Dave are out there…but not that out there. And maybe she wanted to leave it at that with her one dress. 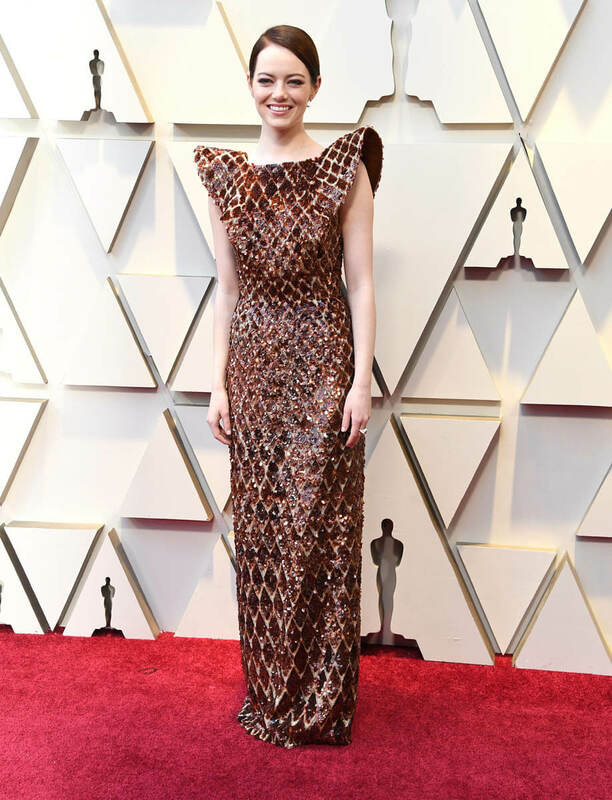 It would have been hard to top this dress. 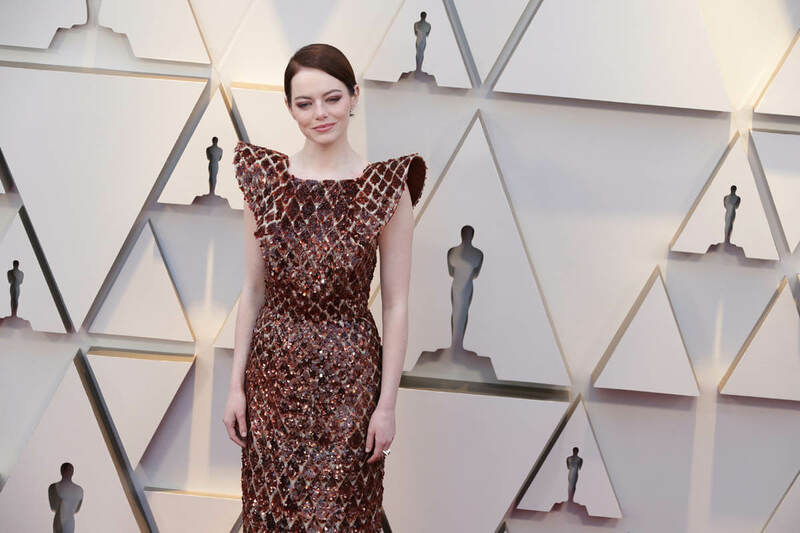 Emma’s Louis Vuitton was easily a Best Dressed candidate. 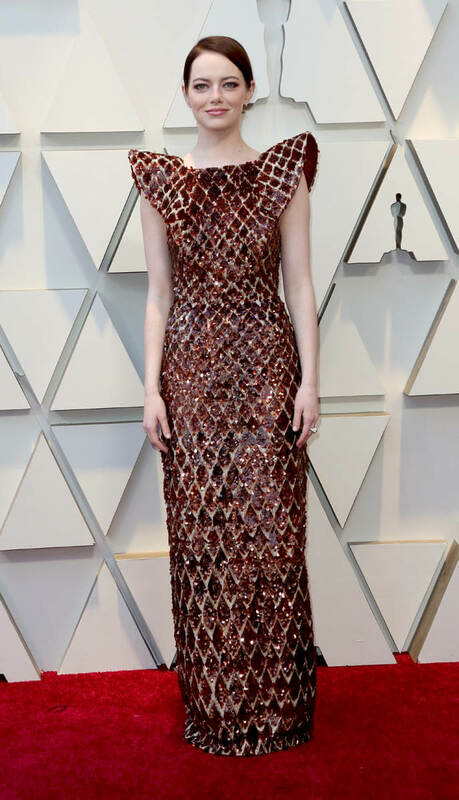 Duana, Kathleen, and I all loved it and the only reason why she’s not Best Dressed for one of us is because, well, she’s just too good at this. Other people have to win the game once in a while. This piece is really f-cking special though. And it gets better the more you pay attention to it, the more it reveals itself. Zoom in if you can on the rich colours that come out in different light, and the detailing, the way it’s textured, how it can look at once soft and furry from some angles and abrasive and rough from others. Pointless to waste this kind of fabric (?? ?Can you even call it fabric???) on a boring shape. You need those exaggerated shoulders to give the fabric its due. This is weird material, it demands a complementarily weird structure. 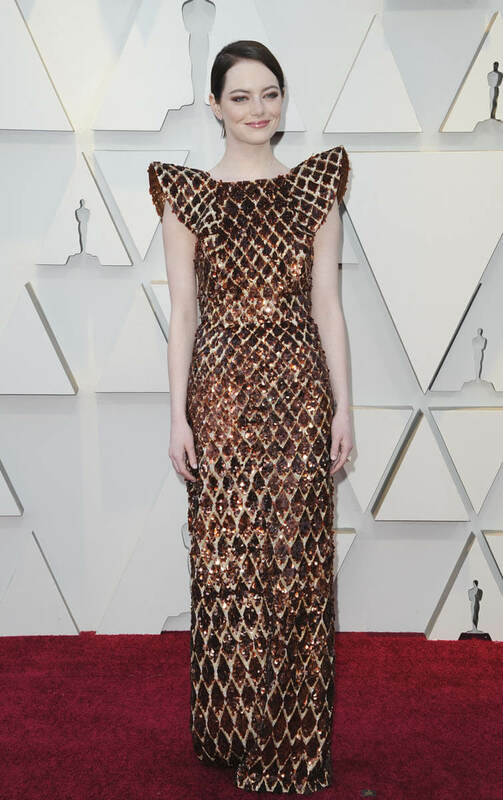 And of course it would be Emma Stone and her stylist Petra Flannery to appreciate it.